There is a common narrative that artists tell themselves: they cannot truly be artists if they treat their careers as businesses. The truth is, you need to embrace your financials and step into your role as a business owner to be able to continue to create your art. Our guest, Jessica Abel, will share her story and how she was able to overcome her limiting mindset and become profitable. Welcome to episode 244 of the Profit First Podcast! 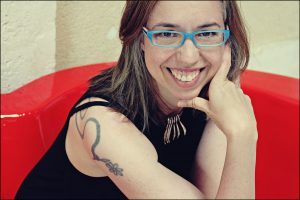 Jessica Abel is author of the graphic novel La Perdida, and two textbooks about making comics, Drawing Words & Writing Pictures and Mastering Comics. Her book Out on the Wire is about how the best radio producers in the world use story to keep us listening. In her blog, in her book Growing Gills: How to Find Creative Focus When You’re Drowning in Your Daily Life, and as a coach, Abel helps creative people actually make their work instead of just dreaming about it. If you’re struggling to create space for your big creative projects, get her free What’s Stopping You? Checklist and figure out why.